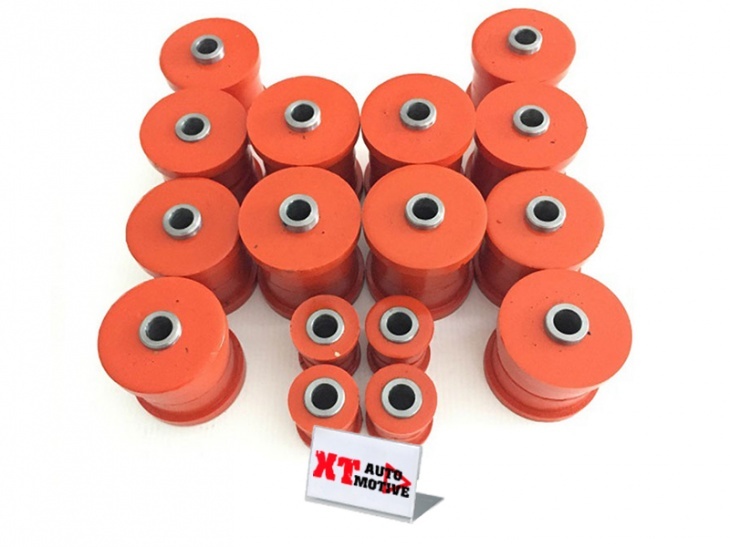 Full Polyurethane bush kit for all Suzuki Jimny trailing arms and panhard rod. The kits includes all the trailing arms bushes for both front and rear trailing arms and for front and rear panhard rod. OFFROAD version (hardness similar to orginal bushes to mainten good travel of the suspensions).